Recently, I had a call with the head of business development from a top-20 CRO in the Boston area. He commented that he was looking for small and mid-size privately owned biotechnology companies developing therapeutics. Our discussion made clear the challenges currently facing CROs that are looking to sell in the space, and how important it is to find such targets. What makes this category of companies so important to him is the enormous amount of future value that can come from a relationship established early in the product development pipeline. However, it is difficult for many CRO’s to justify the amount of time and resources that are needed in order to identify those emerging opportunities. This gives CRO’s s few options: continue fighting incumbent service providers in the large pharma and academic markets (highly unproductive), dedicate staff purely to prospecting emerging companies (very expensive). Secondly, he made it clear that he wanted to “see the money” – highlighting the importance of understanding a company’s financial security before spending too much time pursing it as an opportunity. All too often he watched his sales executives research a new prospect that looked promising, only to find out after a few calls and meetings that the prospect did not have the capital to buy their products. Many CRO business development executives can likely relate to this frustration. Immediately, I could tell that I was speaking with the right person. Small and emerging biotech companies and their relevant financial data are Life Science Nation’s primary focus and differentiator in the market. When LSN started collecting data over 10 years ago, we decided to take a totally unorthodox approach to mapping the industry in a way that included aggregating these small and emerging companies, without requiring the massive overhead of other data providers. We achieved this through two primary tactics; first, we created exclusive relationships with over 40 regional biotechnology clusters around the world by literally taking over the management of their membership directories (netted LSN around 20,000 profiles) for a very compelling price point, freeing up staff and bringing their constituents global visibility on the LSN sourcing portal. Our second tactic was partnering with conference providers who cater to small and emerging biotechs -LSN arranged an alliance whereby we were handed all of the profiles of the conference attendees. These two tactics enabled LSN to offer unprecedented insight into emerging life science companies. This insight includes information on historical financing rounds, products in the pipeline, and management contacts. The value proposition to CROs is undeniable, as it is this piece of the market that offers CRO’s the highest future growth potential and the opportunity for the most repeat business looking forward. LSN is truly a must-have database for any CRO looking to sell in the space. 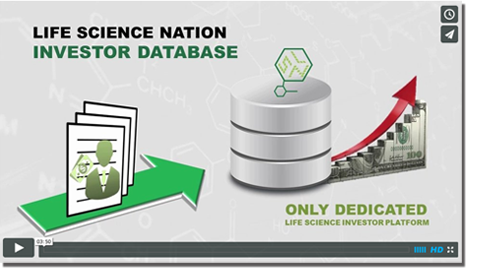 Brian Gajewski is the VP of Sales at Life Science Nation. He is in charge of developing and managing the global sales strategy in North and South America, Europe and Asia. In addition to direct sales, Brian manages all of the channel functions for both the life science companies and the life science investor product suites. Brian is an experienced sales executive who brings valuable knowledge to the LSN team.